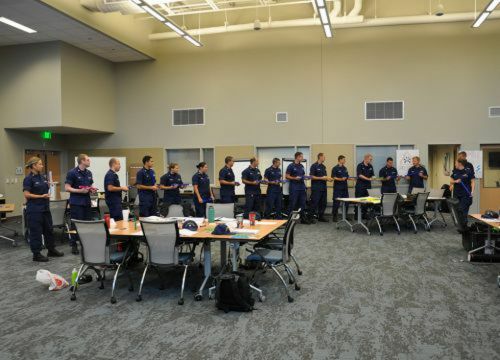 During the week of September 14-18, 2015, NOAA's Gulf of Mexico Disaster Response Center hosted the U.S. Coast Guard for its Leadership and Management School (LAMS). This course is designed to enhance and build supervisory skills through an experienced-based curriculum. Throughout the week of training, students learned about topics such as motivation, conflict management, effective communication, and personal ethics. The goal of this course is to prepare participants for leadership roles by encouraging positive leadership and management techniques.